‘Making Headway’ is an exhibition coming to Hat Works. 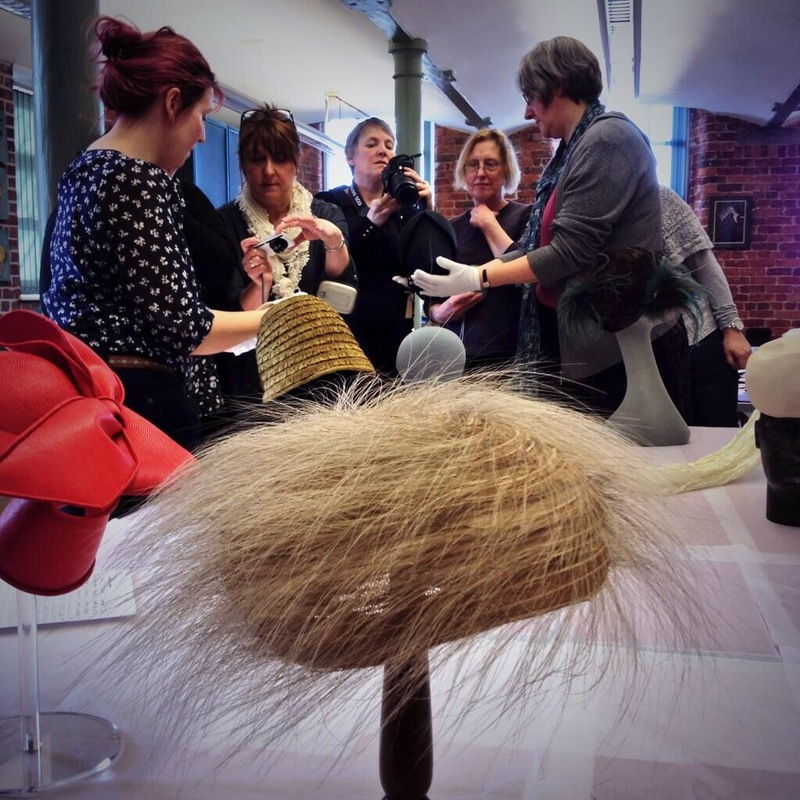 It will run from Saturday 24th May 2014 to Sunday 24th May 2015 and will showcase hats created by 13 up-and-coming milliners made especially for this exhibition and an accompanying catwalk show that is being held on the 17th May 2014. This will be the first time hats displayed in an exhibition at Hat Works – the only museum in the county dedicated to hatting – can be bought from their cases. 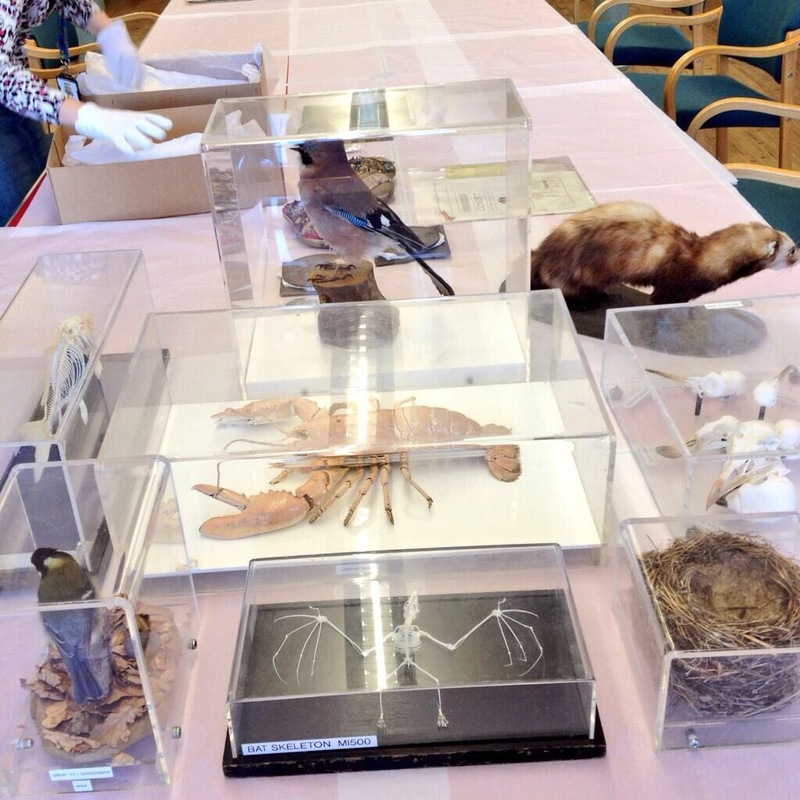 Some of the Natural History collection used. The collections being used are not just hats held within Hat Works collection, but the whole collection. I have attended two of the workshops as curatorial support now and the collections chosen included natural history, WWI crafts, Victorian pin-up postcards and much more. And of course, some fabrics and hats! Curatorial support is basically assisting the collections. So the movement of the objects to Hat Works from the curatorial services, which involves packing, their movements being documented in paper and digital form and the unpacking and display on location. Along side this, a constant presence is needed throughout the day to answer any questions concerning the collection objects and to handle the objects if anyone attending the masterclass wanted a closer look, underneath for example – we sat the hats on display heads but the milliners were very keen to view stitching and labels inside and so as curatorial it was our job to handle the collection objects in the correct manner to ensure their safety. ‘Making Headway’ is shaping up to be an amazing project and I am excited to see the final products. Katie S designed the logo that is being used to advertise the event so if you see one, be sure to pick it up. Incase you missed it, to keep up to date with whats going on and exhibition and catwalk info, the Making Headway website can be found HERE. This entry was posted in Hat Works. Bookmark the permalink.